As they say good things come in small packages and bite sized treats are no exception. You get all the flavor in a nice small portion. 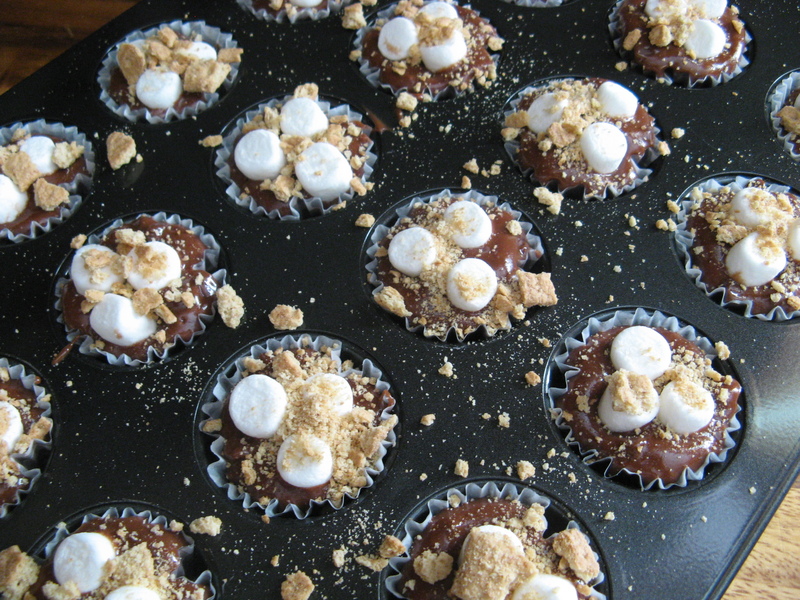 For Mother’s Day I decided to bake up some small treats as opposed to a large cake or pie and it was an overall hit. 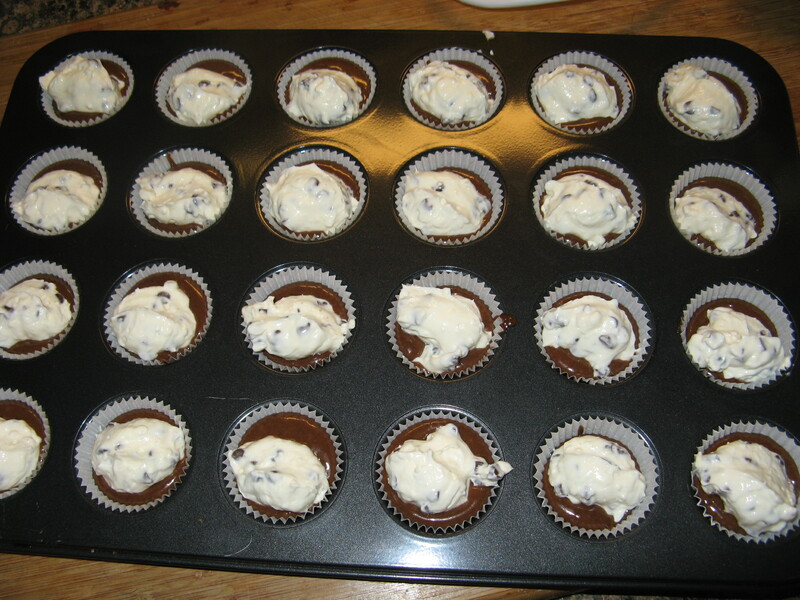 First up are Mini Chocolate-Chip Cheesecakes. 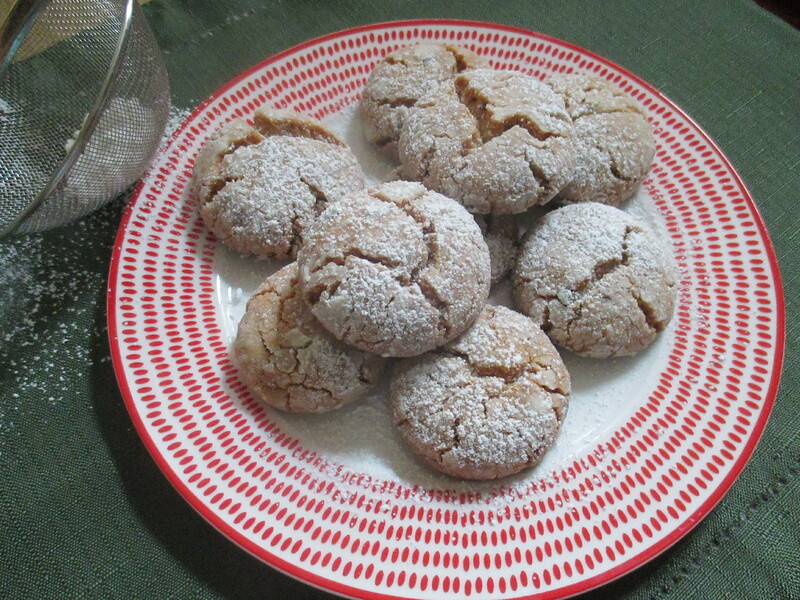 I came across this recipe a few years ago in a now defunct magazine and it was an instant hit amongst my friends. It’s been a while since I’ve made them so needless to say they didn’t last all that long. 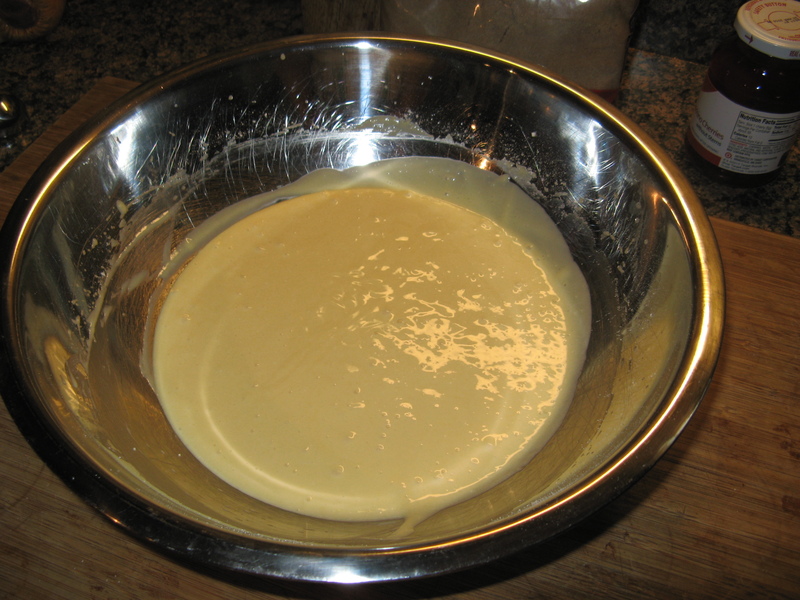 I started off by making the cheesecake part of the bites by mixing together cream cheese, an egg and sugar. 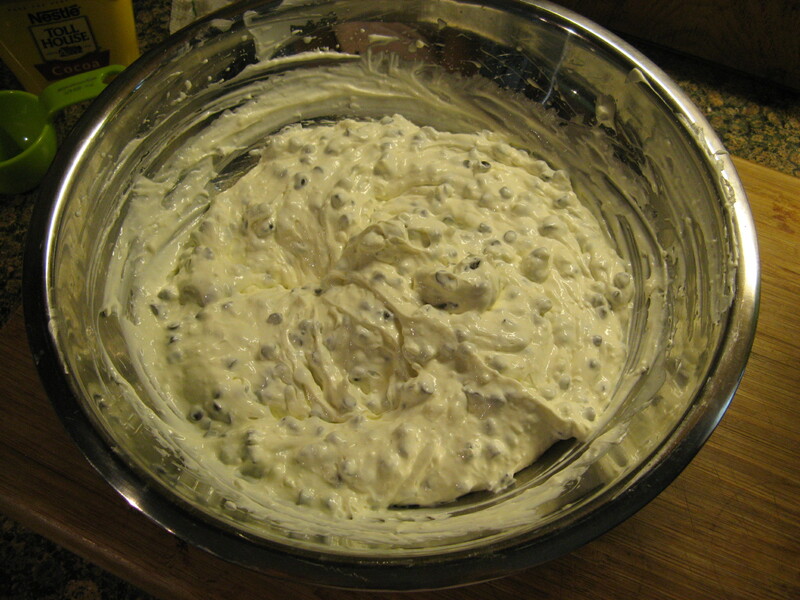 I then folded in the mini-chocolate chips and set this aside while I made the cake portion. 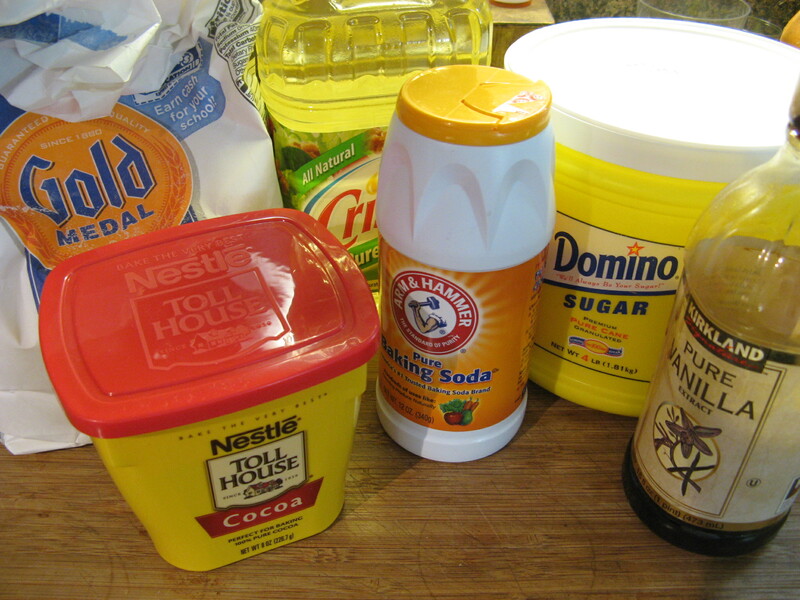 To make the cake portion I mixed together sugar, flour, cocoa, baking soda, water, oil and vanilla. 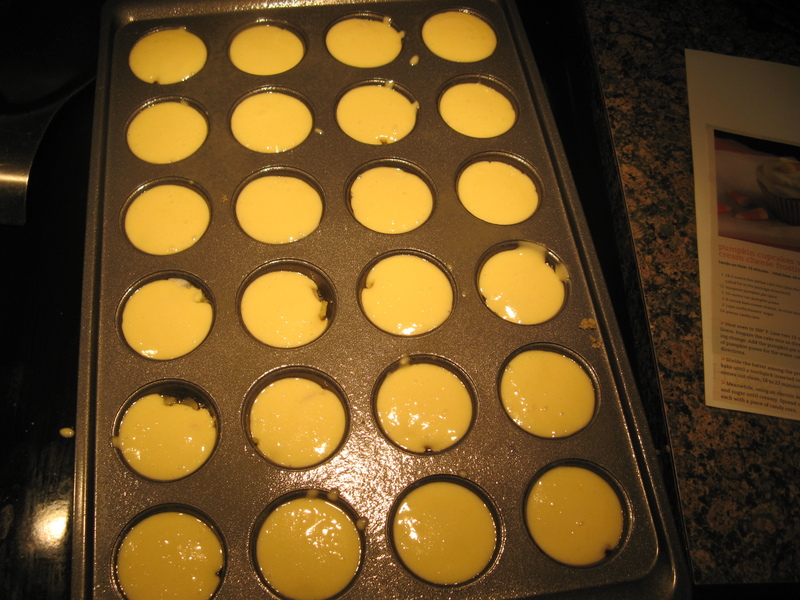 Now it was time to assemble the mini cheesecakes. 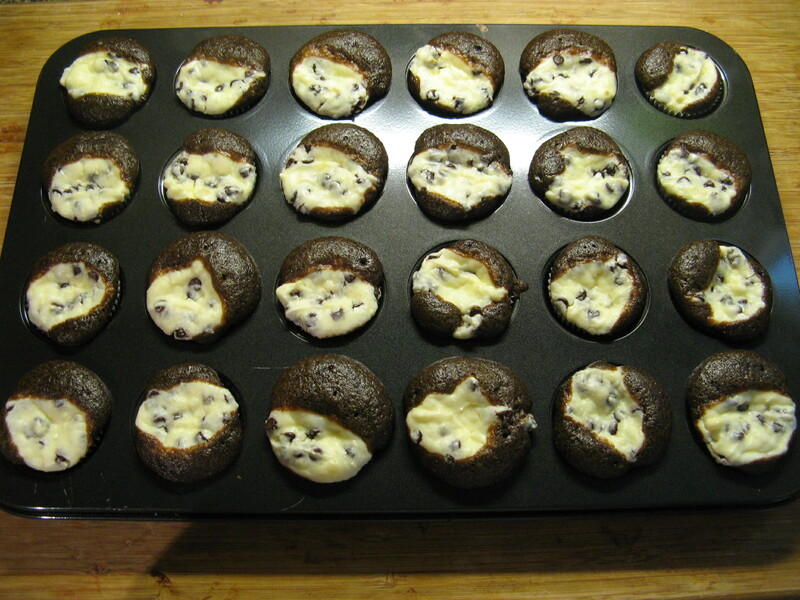 I spooned the chocolate mixture into the muffin tins until they were half full and then dolloped about a tablespoon of the cheesecake mixture on top. And after baking in a 350 degrees pre-heated oven for about 20 minutes they were all done. 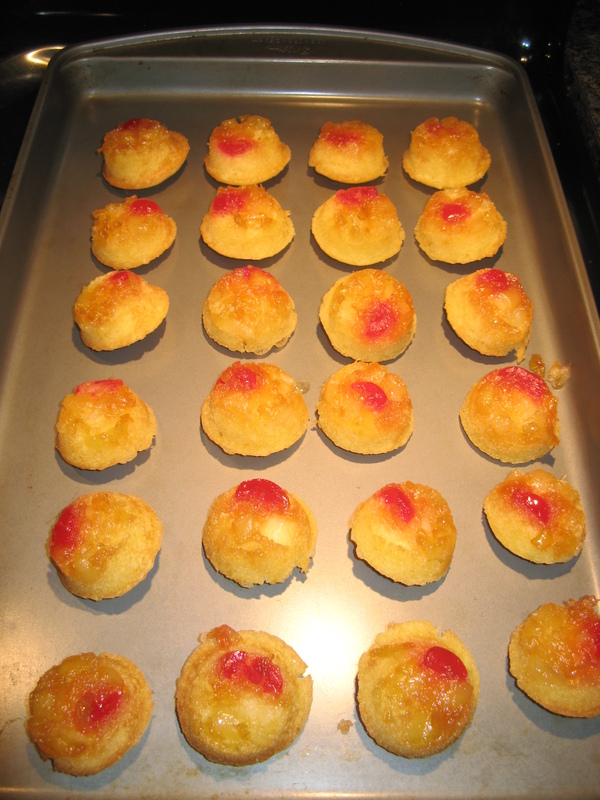 Up next… Pineapple Upside-Down Bites. I clipped this recipe out of the May 2013 issue of Everyday with Rachael Ray. 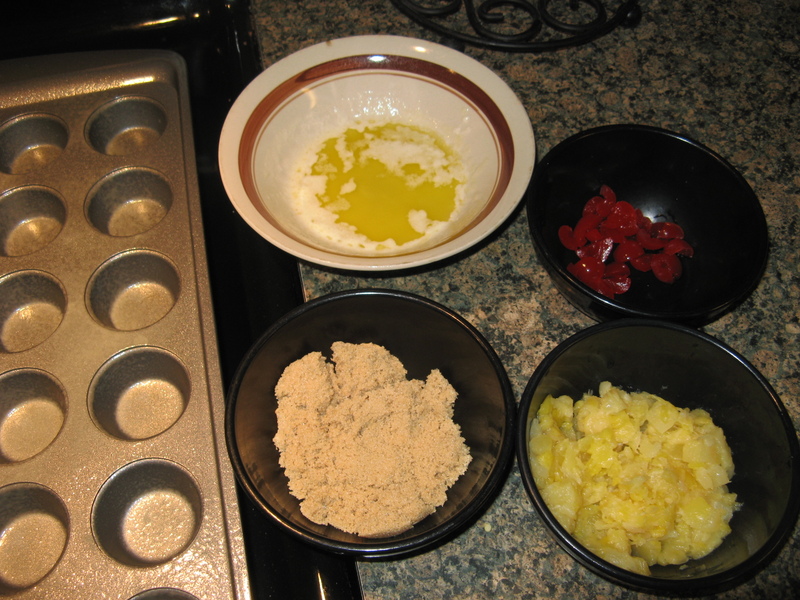 The recipe sounded quick and simple and only required a few ingredients: butter, light brown sugar, maraschino cherries, pineapple and yellow cake mix. 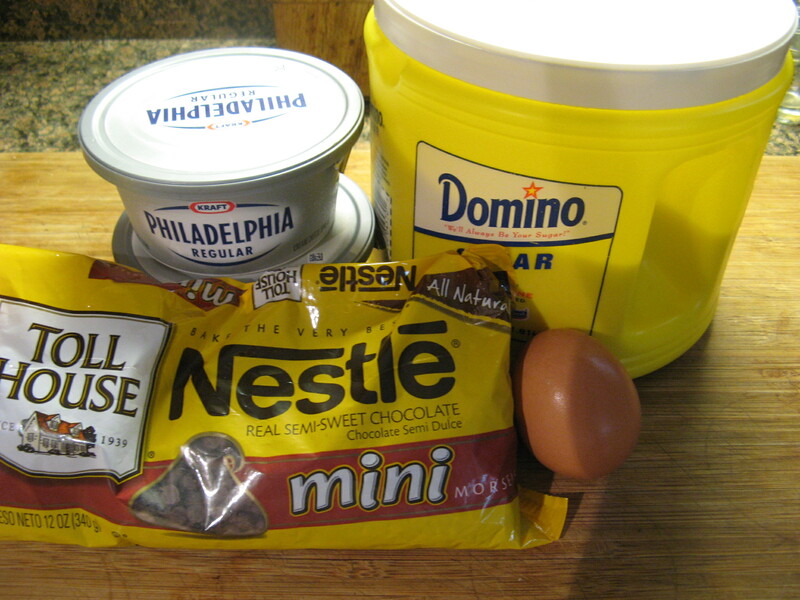 I started off by preparing the cake mix per the directions on the package. 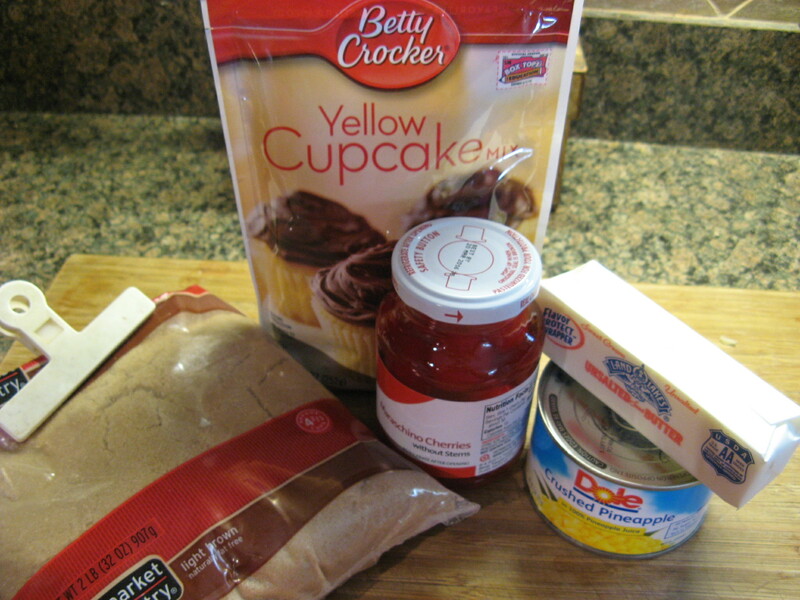 The recipe actually calls for a 16.5oz box of cake mix, but since the recipe states that there would be cake batter left over I decided to use a smaller bag that is meant for 12 cupcakes or an 8×8 cake. Up next it was time to prepare the muffin tin for the pineapple portion of these mini bites. I spooned a 1/2 teaspoon of melted butter into each cup of the tin and then layered a 1/2 teaspoon of brown sugar, a cherry piece and a layer of pineapple on top of it. 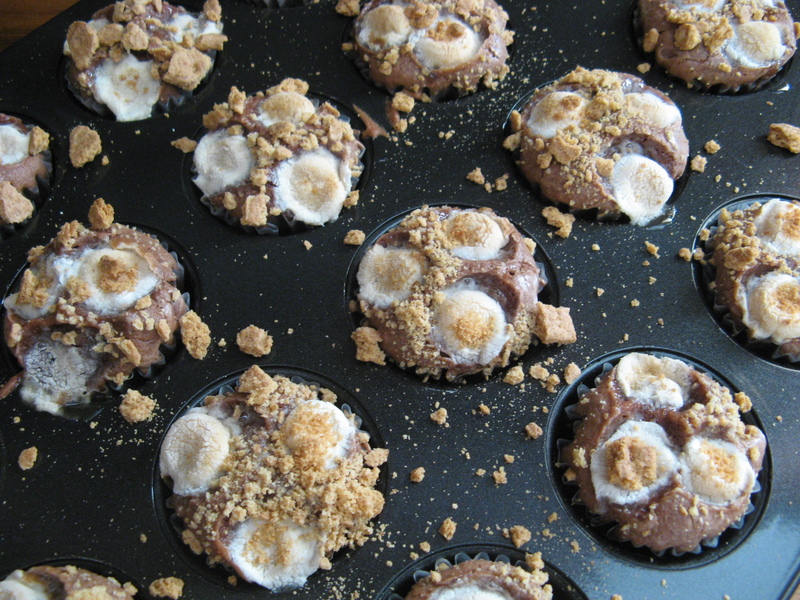 Also, while the recipe didn’t call for it I sprayed the muffin tin with baking spray to ensure that the bites wouldn’t stick to it. 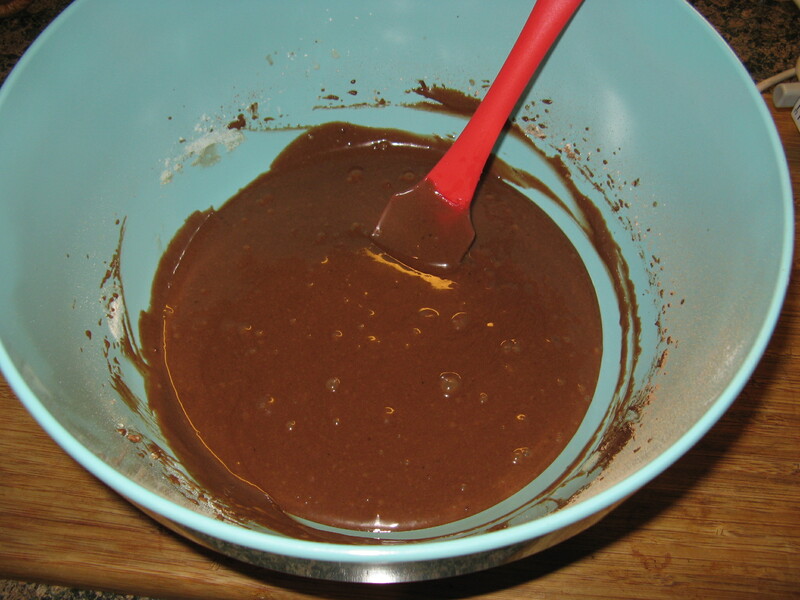 I then spooned about a tablespoon of cake batter into each cup and then baked it in a 350 degrees preheated oven for 12 minutes. 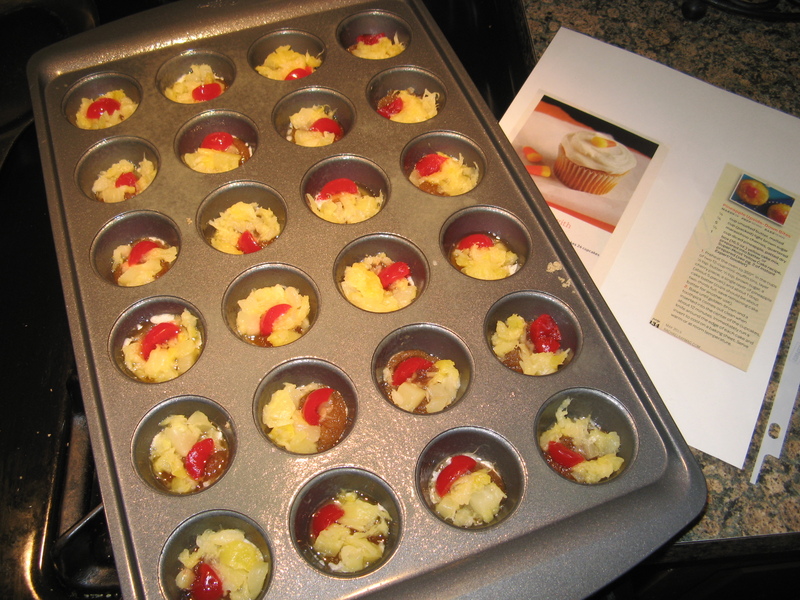 Once out of the oven I inverted the muffin tin on a baking sheet so the pineapple bites could cool. 1. Preheat the oven to 350 degrees. 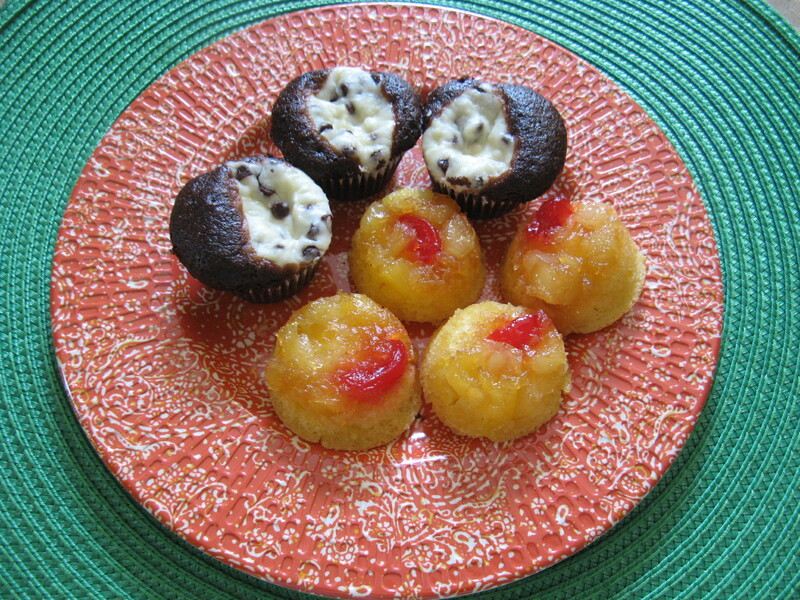 In the cups of two 12-cup mini muffin tins, layer 1/2 teaspoon butter, 1/2 teaspoon brown sugar, a cherry piece, a single layer of pineapple (about 5 pieces) and about 1 tablespoon cake batter (cups should be about two-thirds full; save remaining cake batter for another use). 2. 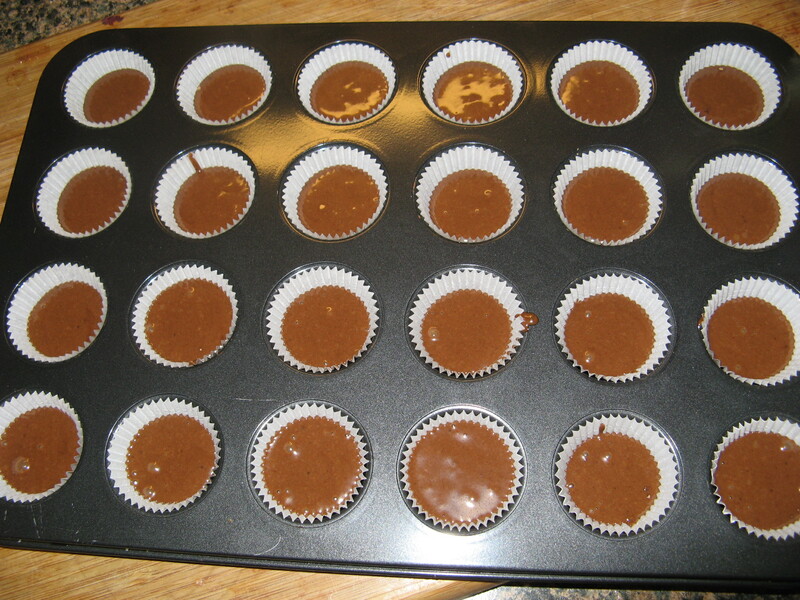 Bake until golden-brown and a toothpick comes out clean when inserted into the center of the cupcakes, about 12 minutes. Immediately run a knife around the edge of each cake and invert to cool on a baking sheet. Serve warm or at room temperature.